Five years ago, Jim Brownell, then Member of Provincial Parliament for Stormont-Dundas-South Glengarry, tabled Bill 185 to have September 28 proclaimed ‘British Home Child Day’. Mr. Brownell has close links to two home children: his paternal grandmother and his great aunt. The Scottish-born sisters both arrived in Canada through the home child program. Between 1869 and the late 1930s, over 100,000 juvenile migrants were sent to Canada from the British Isles. Mr. Brownell’s grandmother, Mary Scott Pearson, was born in Scotland and arrived in Canada on September 28, 1891 aboard the SS Hibernian. 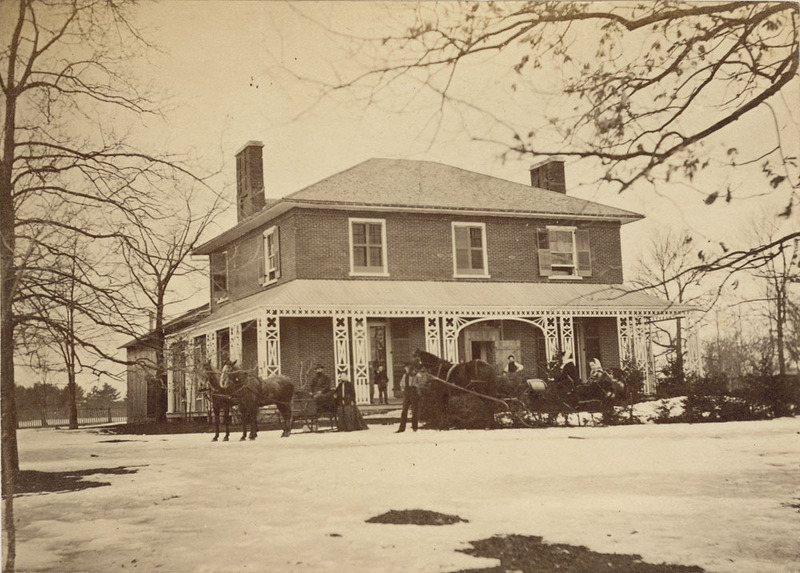 Her first home on Canadian soil would be the Fairknowe Home in Brockville, Ontario. Perhaps you have come across a home child while researching your family history. It is estimated that eleven percent of the Canadian population can identify a home child as one of their ancestors. Where to start my research to locate my ancestor? Library and Archives Canada (LAC) holds extensive records to assist in your research on Home Children. These records include passenger lists, Immigration Branch correspondence files and inspection reports, non-government collections and private fonds (Middlemore’s), as well as indexes to some records held in the United Kingdom. Consult The Records section for search tips and explanations on the documents held at LAC. Passenger lists and other immigration documents are often the first sources consulted. Not only are the names of children listed, but the name of the ship, the dates of departure and arrival, the name of the sending organization in the British Isles and the destination of the child in Canada are also included. All of these details are key in tracing immigrating ancestors. The Guide to Sending Organizations and Receiving Homes provides a list and description of associated places, societies and institutions in the United Kingdom and Ireland and the associated places and Homes in Canada. A fourth column gives the names of people associated with the organizations often mentioned in passenger Lists. For example, Thomas Barnardo and John Hobday were associated with Barnardo’s Homes. Agnes Burges and William and Mary Quarrier were associated with Quarrier’s Orphan Homes of Scotland, whose Fairknowe Home was based in Brockville, Ontario. Children who had been baptized in the Catholic faith were usually placed with Catholic families or religious congregations, often in Quebec. Many home children grew up and enlisted in the Canadian Forces during both the First and the Second World Wars; some chose to remain in the United Kingdom after the war. Consult our Military Heritage page to research personnel service files and other military resources. If you would like to discover more on where a child resided, consult the Census records for the relevant time period. Please note that home children can be researched with the same surname listed in the passenger list. Most home children kept their birth name and were not formally adopted by the family with whom they resided. If you would like to ask us a question, please drop by the Genealogy desk at 395 Wellington Street, in Ottawa, or email us using our Genealogy Assistance Request form. Library and Archives Canada (LAC) is pleased to announce the launch of the Guide to Sending Organizations and Receiving Homes. This guide is an indispensable starting point for researching records about Home Children who came to Canada from the British Isles between 1869 and 1932. With this guide, you can discover what records are held at LAC and other institutions in Canada and in the British Isles. The guide also contains background information on the various organizations and useful links to websites for researching Home Children. The guide was originally compiled over many years by the genealogy staff at LAC. Start consulting the guide now! Library and Archives Canada is pleased to announce the launch of a new version of its online database, Home Children Records. This online database has been extended to include more than 245,000 entries for British children sent to Canada between 1869 and 1932. Names have been indexed from a variety of sources, such as records from sending organizations, publications, governmental and private records. Start searching home children records now! Today’s article is about the Honourable James Murdock, a labour minister in Mackenzie King’s cabinet who was appointed senator in 1930. He arrived in Canada through the home children movement. Since James Murdock was a Member of Parliament, the logical place to start your research is his biography on the Parliament of Canada website. There we find out that he was born in Brighton, England, on August 15, 1871. Additionally, an article in The Ottawa Citizen announcing the death of his wife Annette Follis in 1965 also states that James and Annette married in 1903. As explained in previous articles, you must first consult our main home children online resource. Enter the surname Murdock and the first name James into this database and it will generate three results, including two for James Murdock, age six, who arrived in 1876 under the auspices of Annie Macpherson’s organization. Unfortunately, it is impossible to know which of the two references relates to the James Murdock we are looking for. Other Library and Archives Canada sources also provide information about James Murdock and his family. The 1911 Census indicates that James Murdock and his wife Nettie (short for Annette) lived in Toronto South―the same district where Murdock would run for election in 1921―with their two children Basil and Elena, as well as a servant named Ada Hennings. You can also find further references to James Murdock in other published sources, such as city directories and newspapers. It is possible to learn more about the British origins of James Murdock or another home child by contacting the organization responsible for the child in question. In this case, it was an agency managed by Annie Macpherson, which was taken over by Dr. Barnardo’s organization in 1924 (Barnardo’s Family History Service). Finally, don’t forget to read the previous articles in this series: Introduction, Part II on Edward Brignall, Part III on Harold Mornington and Part IV on Wallace Ford. Today’s article is on American actor Wallace (Wally) Ford. Despite his difficult childhood, Ford had a successful show business career and appeared in over 200 films. He was born in Bolton, England, on February 12, 1898, and named Samuel Jones Grundy. He lived in a Barnardo Home before being sent to Canada, after which he stayed in several foster homes, including a farm in Manitoba. As explained in previous articles, the first step is to search our main home children online resource. However, if you search this database for the surname Grundy and the first name Samuel, no results come up. A second attempt using just the surname Grundy is equally ineffective, so another strategy is in order. Since biographical sources also contain the surname Jones, we will presume that Grundy was dropped and Jones was used as his family name. A search with the latter gives you an item display for Samuel Jones, seven years of age, part of a group of 163 children who arrived in Canada on July 1, 1905, on the SS Southwark. The Passenger Lists, 1865–1922 have been digitized and you can access an image online of the passenger list for the SS Southwark. How did Samuel Jones become Wallace Ford? As a young teen, Samuel Jones ran away from the Manitoba farmer for whom he worked. In the United States, after the tragic death of his friend Wallace Ford, Samuel Jones adopted his deceased friend’s name to honour his memory. From then on, Canadian Samuel Jones was known as Wallace Ford on American soil. In 1936, Wally Ford, who was now a well-known actor, found his mother, Catherine Jones. Thanks to co-operation between the Los Angeles Police Department and New Scotland Yard, and after over 20 years of searching, mother and son were reunited. Finally, remember to consult the previous articles in this series: Introduction, Part II on Edward Brignall and Part III on Harold Mornington. Library and Archives Canada (LAC) is pleased to announce the release of its latest podcast episode: Home Children. LAC Project Manager and Genealogist Marthe Séguin-Muntz along with John Sayers of the British Isles Family History Society of Greater Ottawa, join us to talk about the lives of Canada’s Home Children. They will discuss some of the incredible stories of hardship and prosperity in early Canada, share a wealth of resources available at LAC and provide helpful research tips and tools to discover your family history. For more information, please contact us at podcast@bac-lac.gc.ca. The second article in this series of three explains how to find information about one of the British home children, Edward Brignall, who served in the Canadian Armed Forces during the First World War. This third article looks at another home child, Harold Mornington, who served in the British Army in the Second World War. As with Edward Brignall, the process begins with a search of our main online resource on Home Children. Entering the family name Mornington and the given name Harold into the database yields a single reference; it indicates that Harold was 14 years old when he left Liverpool on March 11, 1932 aboard the SS Montclare, and arrived in Halifax on March 19, 1932. He was part of the last group of 36 children sent to Canada by the Barnardo agency. The passenger lists from 1925 to 1935 have been digitized and can be consulted online. 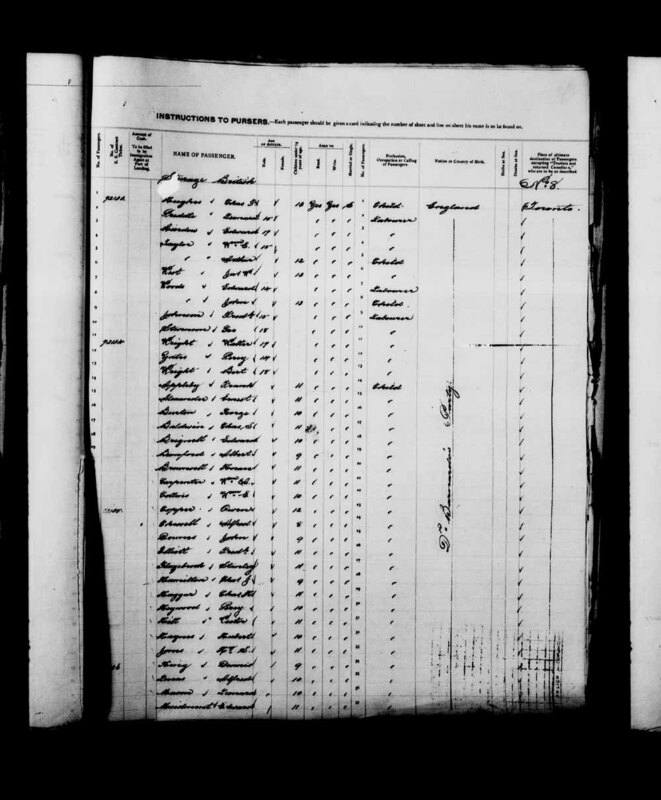 The digital image of the list of passengers aboard the SS Montclare can be examined as well, which confirms the information found in the home children database. It also contains other information, such as the name and address of Harold’s mother, Mrs. Mornington, who lived at 16 Orlando Street, in Caldmore, Walsall, England. More information about Harold Mornington’s family history can be found by contacting the Barnardo’s Family History Service. Beginning in the 1920s, immigration inspectors drafted Juvenile Inspection Reports when conducting periodic evaluations of children brought to Canada by different agencies. These files are available only on microfilm. A search on reel T-15424 shows that between 1932 and 1936, Harold Mornington worked for five different employers in the Ontario districts of Durham, Brant, Oxford and Hastings. A reference found on the site of the Commonwealth War Graves Commission reveals that sometime between 1936 and the beginning of the Second World War, Harold Mornington returned to England. He joined the British Army and died on May 23, 1941, while still a member of the Royal Artillery. He was the son of William Joseph and Elizabeth Mornington. Lastly, Harold Mornington’s military service record is kept at The National Archives in the United Kingdom. The immigration of children from Great Britain accounts for a significant part of Canadian history. Between 1869 and the end of the 1930s, religious authorities and philanthropic organizations sent more than 100,000 poor, orphaned or abandoned children—better known as home children—to Canada, believing that they were offering them a better chance for a healthy life. Many Canadians have an ancestor who experienced this often-misunderstood migration. Anyone who came to Canada alone as a child was very likely one of the home children. Family members quite possibly obtained information on this from written documents or oral histories. Library and Archives Canada has several genealogical records on home children, including passenger lists, correspondence, inspection report cards and various documents produced by different organizations that took part in the children’s transport and care. Stay tuned for our upcoming series of articles on home children who later made their mark in Canada’s history, and on well-known people whose ancestors were home children. The series will help you discover our vast collection of genealogical resources that enable you to trace an ancestor who might have been one of the home children.